The best guide to the coming federal election! Prospect Park Press is pleased to issue Tony Hill's Canadian Politics: Riding by Riding, a major work on the subject. 381,000 words! 496 pages! Every federal riding! Has your opponent read it already? To order with a credit card (in Canadian dollars) click the "Buy Now" button. or fax to (952) 956-9819. Answers many kinds of questions! Be prepared for the coming federal election! Learn about new cabinet members and their ridings! Here is a complete index to the more than 4,200 names mentioned in the book. Tony Hill has written about every Canadian federal riding, and he has visited all of them, except Nunavut. 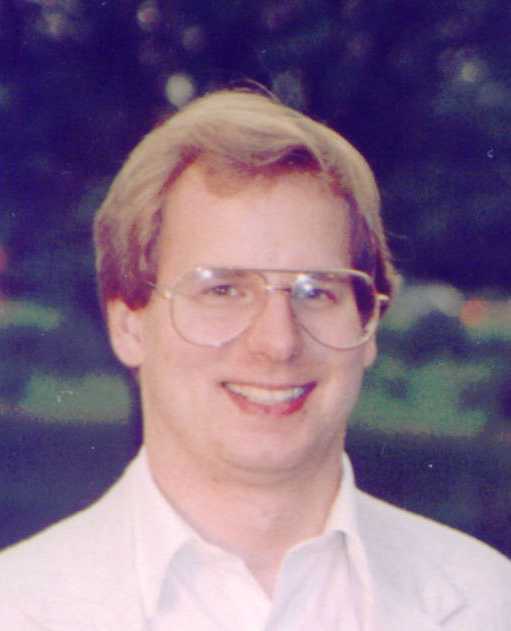 Hill is currently a graduate student in political science at the Massachusetts Institute of Technology, and he has worked in the Minnesota state government. a valuable purchase. They show the state of politics in Canada's ridings. Please bookmark this page and come back soon! Here is a sample riding entry from Canadian Politics: Riding by Riding. Pleasantly situated on a double peninsula between Grand Bay and the Bay of Fundy, Saint John is New Brunswick’s largest city and the oldest incorporated city in Canada. Its name is always spelled out to avoid confusion with St. John’s, Newfoundland. Like its island counterpart, Saint John was founded on the feast day of St. John the Baptist, June 24, 1604, 107 years after Newfoundland’s capital. St. John’s Day is a holiday in Quebec but not in either of the large cities bearing his name. People here celebrate May 18, the anniversary of the arrival of the United Empire Loyalists who swelled the population in 1783. The largest city in Canada’s only bilingual province is largely unilingual; only five percent are Francophones and only 12 percent even know the French language. The city’s excellent harbour and key location made it an important industrial city early in the industrial revolution. The city has fallen on some rough economic times in recent years, with nothing more bleak than the closing of the shipyard, a move which idled some 4000 workers. The shipyard is modern and sophisticated too; it was not closed due to rust and obsolescence. This contributed to a four percent population loss in the 2001 census. The Port City embraces the waterfront with Market Square, a harbour-renaissance shopping district which bustles on weekends, but it is indeed hard to paint a happy face on a city which has lost so much industry in such a short time. Industrialist K.C. Irving, whose family seems to own everything in New Brunswick, made his home in Saint John. He built Canada’s largest oil refinery complex here. His son J.K. Irving still owns the New Brunswick Telegraph-Journal, and he took the unusual step of disassociating himself from the paper’s 1997 editorials endorsing the Tories. (His son-in-law Paul Zed was an unsuccessful Liberal candidate for re-election in Fundy-Royal.) Louis B. Mayer grew up here, and so did Donald Sutherland and Walter Pidgeon. Perhaps when Mayer made his many movies glorifying the all-American family, he was really hearkening back to his days in Saint John and the impressions he had formed here. The waterfront is mostly industrial; there isn’t much housing lining the harbour. Unlike larger Canadian cities, there aren’t many highrises in Saint John. People who don’t live in a single-family house probably live in a small apartment building here. Housing is fairly inexpensive here, but that reflects the poor economy as much as anything. Nearly a quarter of families live in poverty here, the highest level in the province. Incomes are about average for New Brunswick, but in the bottom quadrant nationally. With the depression in traditional parts of the economy, the service sector has taken on an increased role, although that hardly compensates for the loss of industrial jobs. One in eight people here works in health care. Canada’s first industrial exhibition was held here in 1851. The city is now home to the Atlantic National Exhibition. The city was recently amalgamated with all of Saint John County. The city is home to the believe-it-or-not Reversing Falls, which run upstream twice daily, and the city’s politics sometimes run backwards too. Saint John is a heavily Tory riding with an occasional contrarian streak. The riding elected Tories during much of the Laurier era, but then suddenly elected a Liberal in the election that brought the legendary Liberal down. Tom Bell was first elected to Parliament in 1953 and stayed on until he lost to Liberal Mike Landers in 1974. The riding was called Saint John-Albert until redistricting for 1968. It was then renamed Saint John-Lancaster. This was somewhat ironic because Saint John had annexed its former neighbor, Lancaster, on the west side of the river, the year before. Landers lost to Tory Eric Ferguson in 1979 but won a rematch the following year. He left Parliament to serve on the Canadian Transport Commission — which has no small role in helping his riding. Tory Gerald Merrithew won in that overwhelmingly Conservative year of 1984 and served in the cabinet of Prime Minister Brian Mulroney. He declined to run in 1993. Once again the riding showed its contrarian streak, electing Tory Elsie Wayne, the city’s popular mayor. This was the only seat in Atlantic Canada that didn’t elect a Liberal in 1993. She and Jean Charest in Sherbrooke, Que. 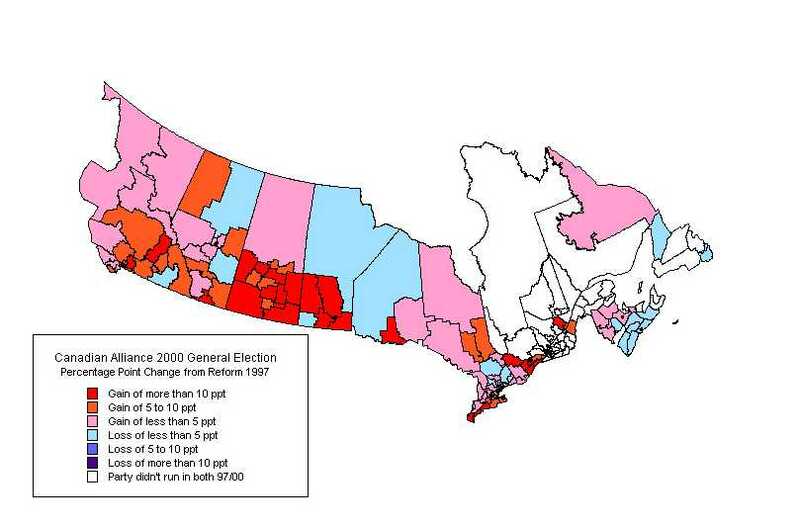 were the only Tories to win in that election in which Canada’s oldest party was nearly obliterated. Although she might have become one of the key women’s leaders in the country, Wayne refuses to focus on a gender basis. (There’s a little feminist in her, all right: She has a history of crashing the all-male St. Patrick’s Day dinner in Saint John, once by jumping out of a cake. ) Wayne, who remained popular as an MP, faced divided opposition in 1997; no strong candidate emerged among the opposition. Most of the acrimony felt in the election was directed at the governing federal Liberals and the governing provincial Liberals; Wayne herself devoted a lot of rhetoric to Premier Frank McKenna and his caucus in Fredericton. Some of the acrimony directed at Wayne came from gays, who targeted her as one of only two Atlantic Canada MPs to vote against their key issues -- hate crimes and gay rights. She was also attacked for her attendance record, although she said she spent a lot of time rebuilding the Progressive Conservative Party -- and claimed on election night to have been vindicated, both by her own constituents and by the success of the party in Atlantic Canada. Interestingly, Wayne got $3000 from unions in 1997. That isn’t an incredible sum, but it’s the most any Tory in the country got from them. Nearly 60 percent of the former mayor’s contributions came from businesses. Wayne flattened her opponents with a 63 percent win, the largest win of any Tory in the country and of any candidate in Atlantic Canada. Actually, it was the only solid majority in the region. She was 16,615 votes and 47 percentage points ahead of her closest opponent, Liberal Diana Alexander, who was rarely seen without a dark blazer and turtleneck sweater. This was the largest margin -- nearly four to one -- in Atlantic Canada or of any Tory in Canada. Wayne swept every poll in the riding. The newspaper coverage was greatly focused on Wayne, and it must have been difficult for the other candidates to get their messages across. The Liberals ran a much stronger campaign here in 2000. Their candidate was former Fundy-Royal MP Paul Zed, who helped the media coverage become broadened; perhaps his father-in-law being a media boss helped. Wayne was re-elected with a bare majority of 51 percent, but the drop from 1997 that represented, 12 points, was the biggest for any Tory incumbent. The Liberals were the beneficiaries, but Zed was nevertheless far behind with 29 percent, despite a noisy visit by Industry Minister Brian Tobin to agitate idled shipyard workers to vote against Wayne. (There was also an independent campaign against Wayne apparently financed by some business people. ) Zed was also the only candidate in New Brunswick endorsed by the Canadian Police Association, which was seen as a slap in the face to Wayne, who had run law-and-order campaigns both municipally and federally. New Democrat Rod Hill, an economics professor, polled nine percent, exactly nine votes ahead of the Alliance’s Peter Touchbourne, a realtor. (Someone with experience in lawnsigns, at least.) Jim Wood, the only Marijuana Party candidate in the province, had to get judicial permission to attend an all-candidates’ meeting; he was under house arrest for possession. At the conclusion of yet another acrimonious campaign, Zed chose to telephone the winner rather than appear in person at her victory party, a Canadian tradition. Once again, Wayne's $3000 from unions was the most any Tory in the country got. Wayne, who calls Saint John “the greatest little city in the East” has never lost an election since she entered municipal politics in 1977, and it doesn’t look like her streak will end anytime soon. The Saint John Times Globe has called her the "Duracell bunny candidate," which can’t make the folks at Eveready, sponsors of the Energizer bunny, too happy. There are rumours that she would like to get an appointment to the Senate, which might be unlikely given the Liberals’ need to take care of their own in the province. Wayne has re-solidified Tory support in this traditional Tory bastion -- the only Liberal wins here in recent history were the two narrow victories by Mike Landers. Wayne claims former Tory Leader Robert Stanfield as her political model, and she served as interim Tory leader following the departure of Jean Charest. She is de facto leader of the Atlantic Tories -- who comprise three-fourths of the Tory caucus. She is apt to be prominent in the Tory caucus for the rest of her career. A unit of Veritas Communications Inc.